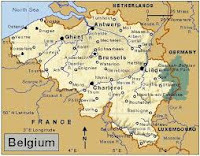 Belgium is nestled between Germany, France, Luxembourg, and the Netherlands. Their population of eleven million people is culturally split in two-the Dutch-speaking, Flemish communities (59%), and the French-speaking population (41%). There is a tiny-group of German-speaking people along the German border. 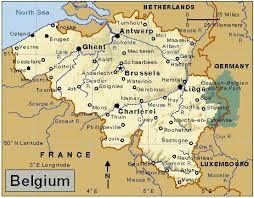 Originally part of the Netherlands, Belgium seceded in 1830. Worn out after WWI, Belgium had no desire to be involved in a war in Europe. The country declared itself neutral when the hostilities began. As such, they signed a neutrality agreement with Germany and pulled themselves out of the Locarno Treaty of 1925. The military reorganized into a defensive unit, and fortifications were built along the country’s borders. However, their force was no match for the Germans who invaded Belgium on May 10, 1940 as part of its campaign to capture France. Realizing his cause was lost, King Leopold III, surrendered on May 28th, and was held a prisoner during the remainder of the war. 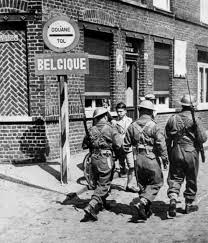 The Belgium government fled to England, and the military fought alongside the Allies. The King became the focus for the Belgium Resistance-their slogan “The king is captive! Long live the king!” rallied people to the cause. During the occupation, Germany instituted a tax to handle the cost of governing the country. Reports indicate that nearly two-thirds of Belgium’s national income was paid out for these charges. It is surmised that almost five percent of the population (Both Dutch- and French-speaking) was involved in the Resistance. In addition to sabotage of the military infrastructure, activities include assassinations of collaborators, publication of underground newspapers, gathering of intelligence, and maintaining escape networks to help Allied airmen. Resistance work was dangerous, and nearly twenty-five percent of the group lost their lives by the end of war. 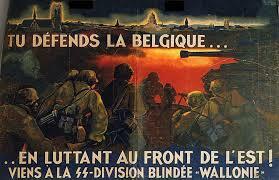 The Allied liberation of Belgium began in September 1944, and the country was fully liberated by February 4, 1945.